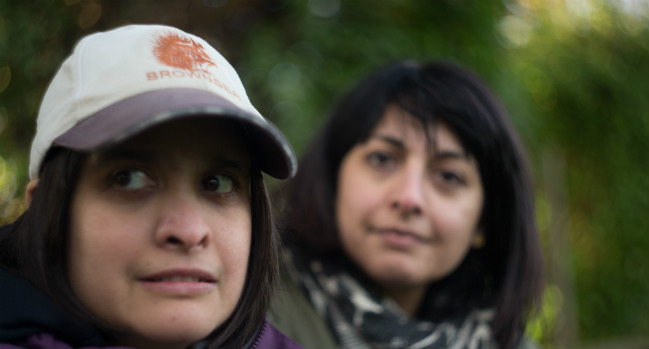 The focus on Raana Salman's disability, rather than her public speaking prowess or her ceramic work, is a symptom of wider negative public perceptions about learning disability. A new book showcasing the stories of professionals with learning disabilities – if funded – will challenge perceptions that people with learning disabilities are passive recipients of care or deserving of pity. The focus on my sister’s disability, rather than her ability, is a symptom of wider negative public perceptions about learning disability. Such perceptions mean that people with learning disabilities are regarded as devoid of personality, passive recipients of care or deserving of pity. "Those of us who work alongside, support or spend our time with learning disabled people as professionals, volunteers or family members, know that there is more to someone than their support needs." Overturning these attitudes and challenging stereotypes about people like my sister is the aim of a new book I have just launched, Made Possible. Made Possible is a collection of essays by high-achieving people with learning disabilities. The book features the experiences of talented professionals in different areas like film, theatre, music, art and campaigning. "Once the book is 100% crowdfunded, production can start." Made Possible is being created through the crowdfunding publisher Unbound, which means readers make a pledge to create the book they want to read. Once the book is 100% crowdfunded, production can start. Support so far has been strong. At the time of publishing this blog, two weeks after launching the crowdfunding campaign, the book was already close to 50% funded and so half way towards being made. But why should this book be made; how is it different? Firstly, it presents readers with the experiences of people with learning disability in their own words - not only do they share the secrets of their success, they do so themselves. They define what achievement means to them and how this was realised. Secondly, Made Possible is a world away from existing non-fiction medical or academic books on learning disability. That is not to underestimate the importance of such publications – but they are not meant for a mainstream audience, and engaging the latter is how we can help change perceptions. Made Possible is also timely. Progress on improving the lives of learning disabled people is too slow – six years after Winterbourne View, almost 3,000 people are still languishing in assessment and treatment units. People with learning disabilities face health inequalities, with, on average worse health than people without a learning disability. There is a similar lack of parity in employment, where just 6% of people with learning disabilities are in paid work. Meanwhile, the United Nations recently described the UK’s disability policies as producing a ‘human catastrophe’ for disabled people. Made Possible also reflects the emergence of more grassroots campaigning and growing sense of empowerment in the learning disability movement. People themselves and their families are pushing for change. Take, for example, organisations like Learning Disability England or the #JusticeforLB movement which campaigned for an inquiry into the death of Connor Sparrowhawk, who died at a Southern Health-run unit. Quickening the pace of change and ensuring that people with learning disabilities have the same opportunities as everyone else are themes familiar to Learning Disability Today readers, and to those joining the upcoming learning and exhibition day in London on November 22. Those of us who work alongside, support or spend our time with learning disabled people as professionals, volunteers or family members, know that there is more to someone than their support needs. But we need more people outside the learning disability arena to acknowledge that. A diverse range of backers is already behind this ground breaking book; adding your support will help turn Made Possible into a reality and encourage a much-needed shift in public mindsets. Saba Salman is a social affairs journalist and a trustee of the charity Sibs, which supports the siblings of disabled children and adults.